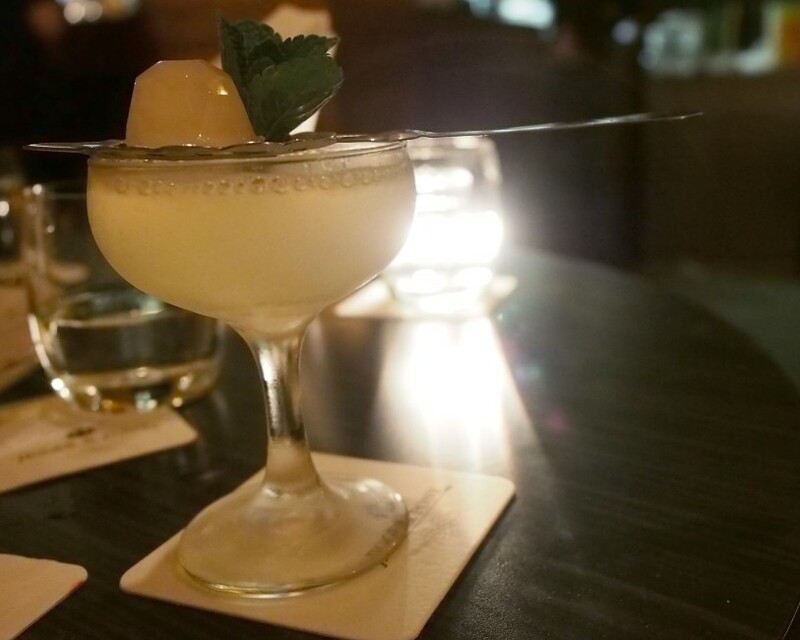 Listed as one of 2015’s “Bars to Watch” by Drinks International for “The World’s 50 Best Bars”, it has succeeded with a household name to keep in the international cocktail scene. 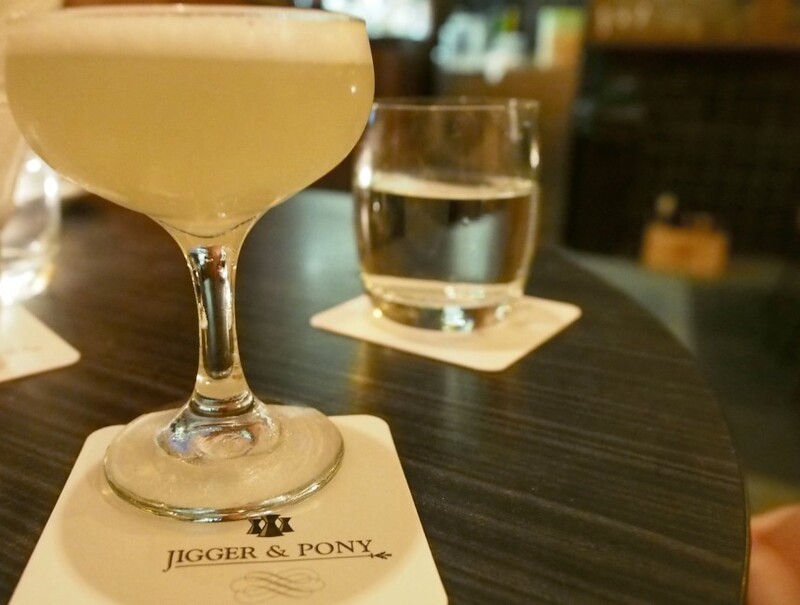 Jigger and Pony is a cocktail bar, combining flawless Japanese bartending with classic, timeless cocktails. 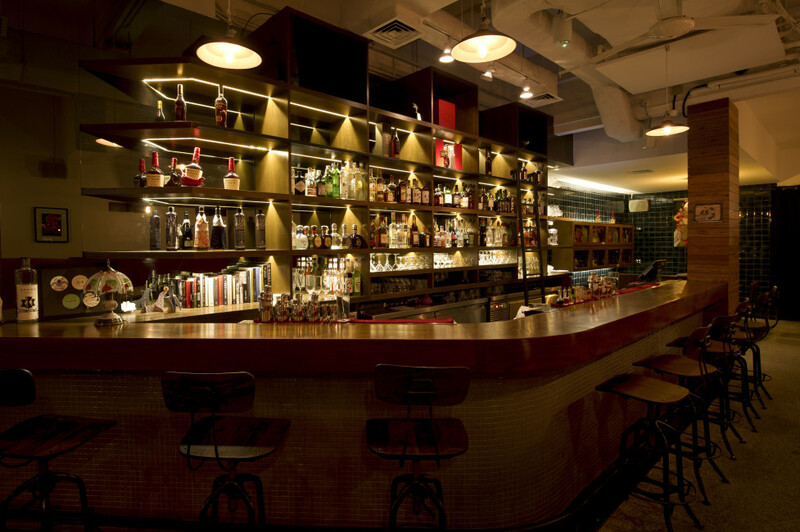 Nestled in Amoy Street, an ex art gallery space, Jigger Pony attracts well-dressed corporate and creative souls. The bar is indeed stylish and welcoming. Spotting the interesting production by the bartending team, the team is filling the cocktail enthusiasts with fun, enjoyment and good vibes. They are quick with their stylish moves. The background music is not over loud that will drown your conversation with your friends. 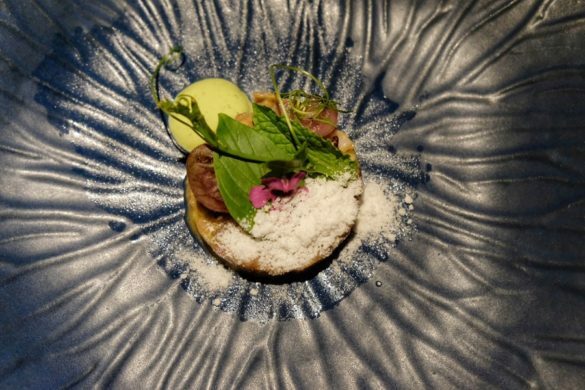 The menu is conceptualized by Bar Programme Director, Aki Eguchi, a two-time winner of the Diageo Reserve World Class Singapore. 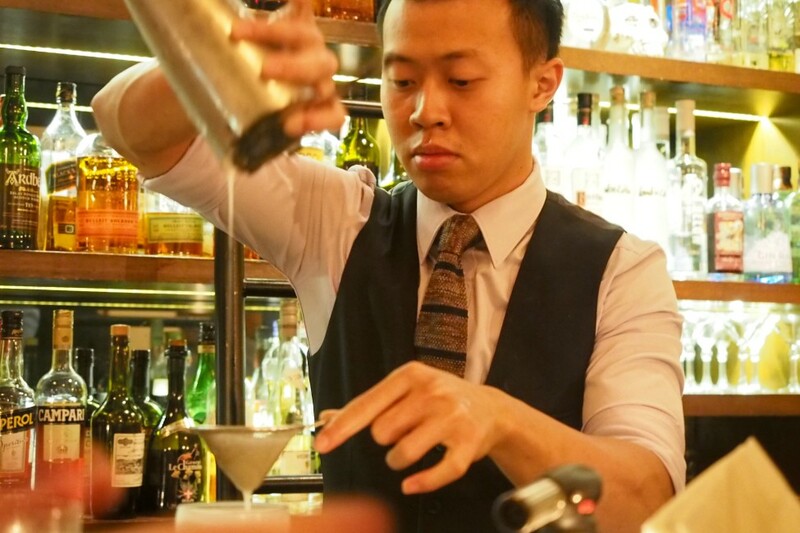 He impresses with both substance and creative style, known for his repertoire of classic cocktails. Staying true to their craft, the spirits are sourced around the world. 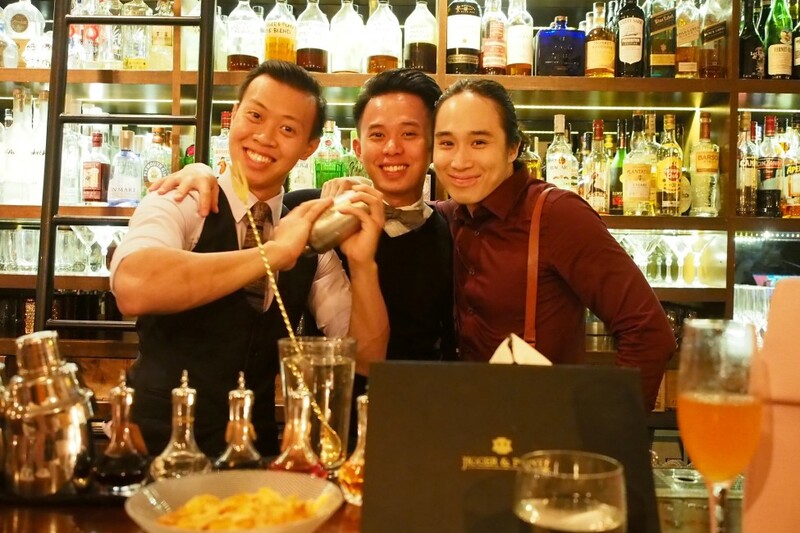 Additionally, the syrups are made in-house by the bartenders with precise control over quality and substance. Corpse Reviver #101 ($22++) with the addition of house-infused jasmine sweet vermouth and absinthe jelly on the side, gin is replaced with vodka. The cocktail is revived. 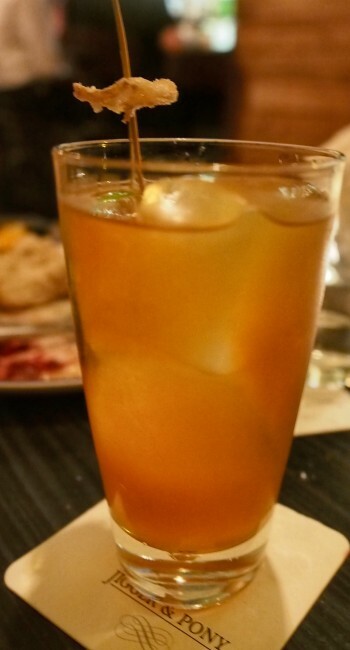 Forget the weather and take refuge with Dark and Stormy ($22++). 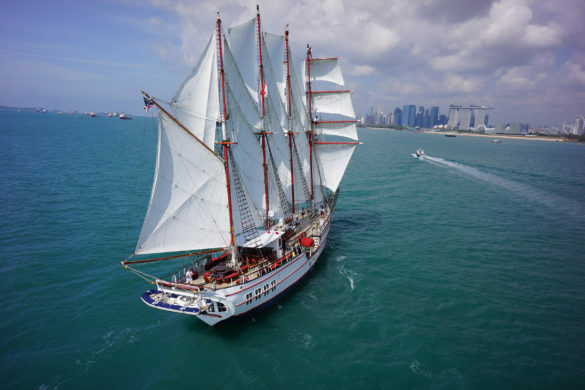 This is created for rum enthusiasts. You will trace a hint of ginger that’s refreshing. Chasing away with the upcoming cherry blossoms season, Sakura Sakura ($22++) is sweet and gentle for a floral cocktail. The sakura syrup and sake pair beautifully. Perched at the bar and watched the team’s production unfold. The enduring Negroni ($22++) runs deep with its precision of details. 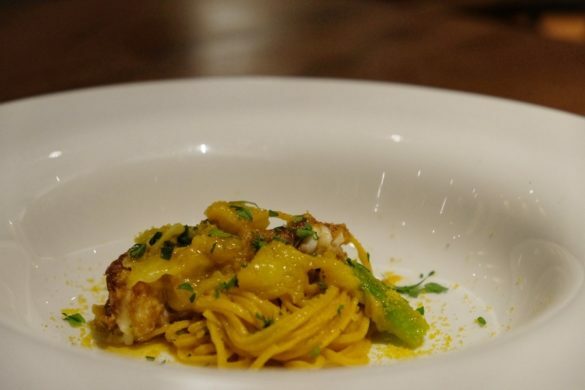 A far cry from typical bar food, everything on the menu is made from scratch. The food is super fresh, simple and delicious. 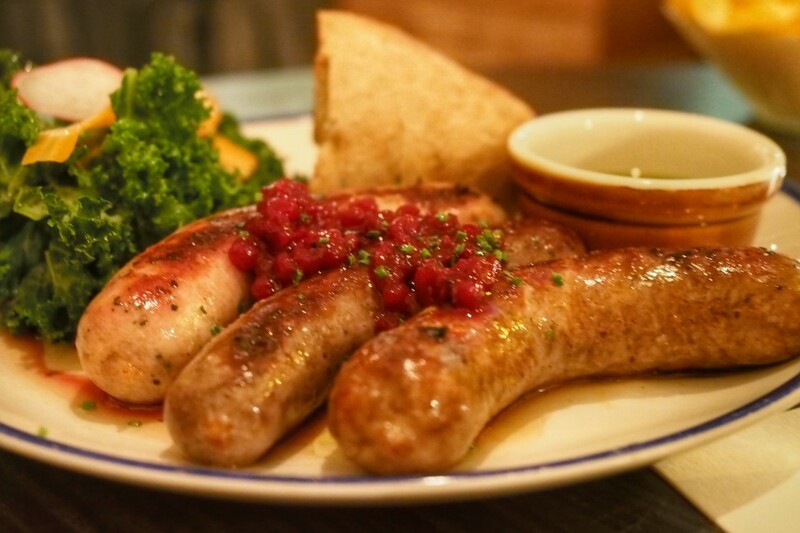 Like the Sausage Platter ($32++), the in-house made sausages carried flavors like pepper chicken, rosemary beef and Moroccan lamb. Simply delicious. 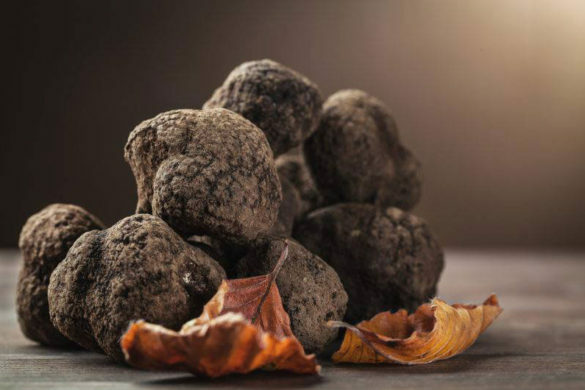 With handcrafted ingredients, their dishes are beyond substance and quality. 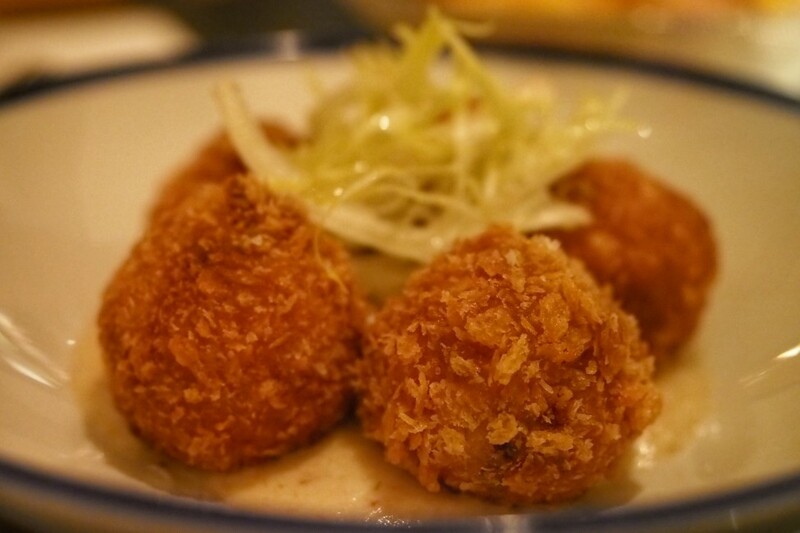 Arancini Balls ($12++) is a nourishing and balanced dish that comes with risotto, onion and bacon purée. 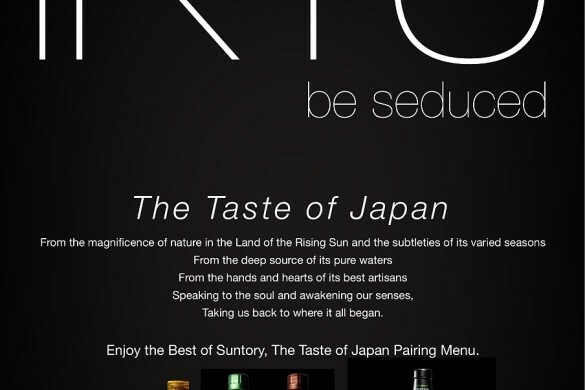 They are designed to complement the drinks. The cocktails are surprisingly good, reviving and daring. 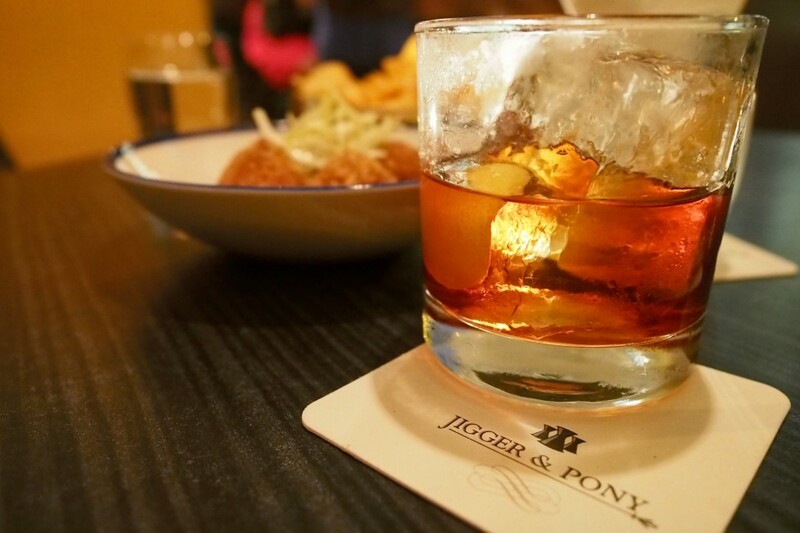 Jigger and Pony is probably the best bar found in Amoy Street, it creates an alluring drinking experience that keeps drawing people back. Doors open every day except Sundays for all thirsty cocktail lovers. They have Happy Hour $14 cocktails from 6pm – 8pm. For more information, do visit Jigger and Pony.